The puff stitch flower pattern is perhaps the most dashing display of crocheting finesse that I have seen in a while. 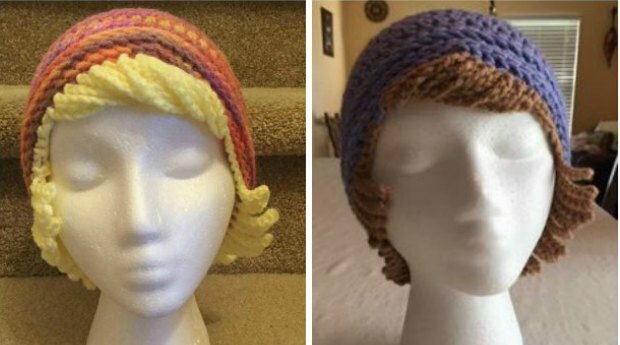 The pattern is quite popular both to rookie and experienced crocheters. There are some tutorials below that offer detailed instructions on how to execute the pattern like a pro. What’s most interesting about the puff stitch flower pattern is that it can be crocheted in a few different ways using varying color schemes. 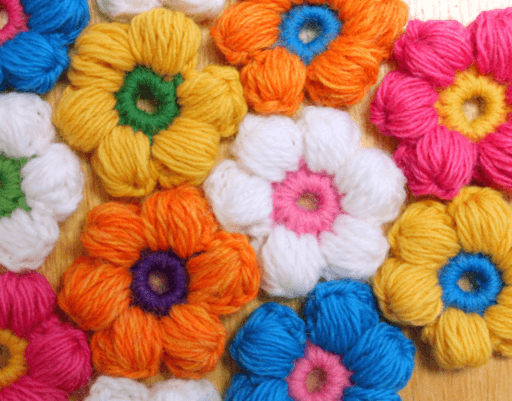 You can crochet up flower bold and brilliantly colored flowers or settle for subtle ones. Depending on what you prefer best, you can use this flower pattern to create beautiful blanket pieces to keep yourself or your loved ones warm or stunning tabletop pieces. You can rest easy knowing that your creations will fit right in with your home decor. For this puff stitch flower pattern, there is no set yarn weight that you must use. It, however, depends on the gauge you intend to realize with the stitch. It goes without saying that the heavier the weight of yarn used, the bigger the flowers will emerge. So, take your time to decide what gauge and brand of weighted yarn you need for your project. You can get as creative, and imaginative as you please. 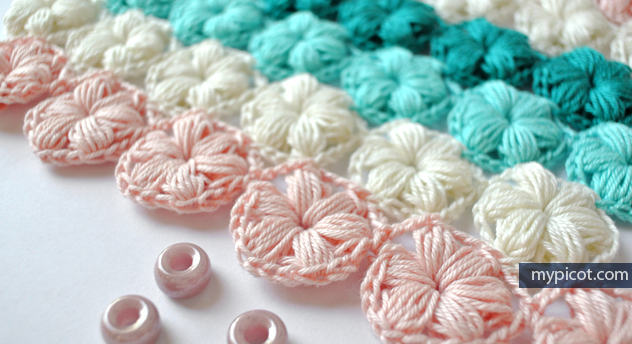 For best results, it is recommended to use a variety of colors with this puff stitch flower pattern. Any brand of worsted weight yarn which is approximately five yards for each flower. A 5.5 mm or U.S size 8 crochet hook. What Are The Possible Uses For This Pattern? 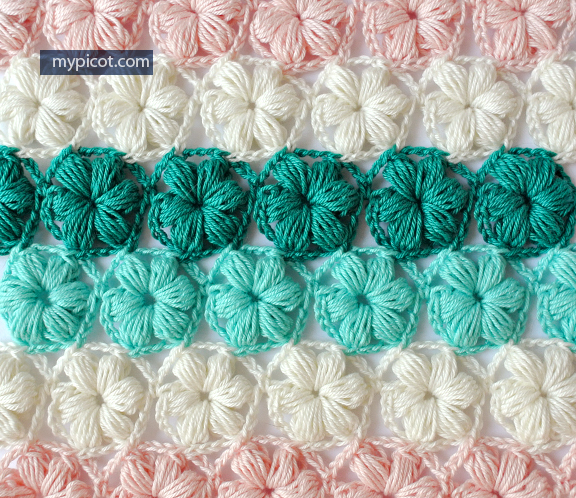 Now, if you are a beginner, you might be wondering what the fuss on Pinterest surrounding these adorable puff stitch flowers is all about. Well, I’ll have you know that these puff stitch flowers can be used in numerous ways. There are no real limits to what you can create with this pattern. I have seen some pretty creative feats one of which includes a stylish flower handbag made by stitching these puff flowers together. Whatever your crocheting needs are, this puff stitch flower pattern is precisely what you need. Recently, I set out to create a warm blanket to wrap myself in, and the results were astounding. I used a lot of colors to crochet my blanket, and the finished item was a medley of all my favorite colors. Therefore, I must admit I was quite pleased with the finished piece. Especially considering I didn’t make use of any tutorial materials just the free insttuctions. You will be able to use a variety of colors with this stitch. The more colors the better, we say! Especially when there are flowers involved. A great example can be seen in the image below. If would like some inspirations or help with color pooling, visit this post to see how it can be done. 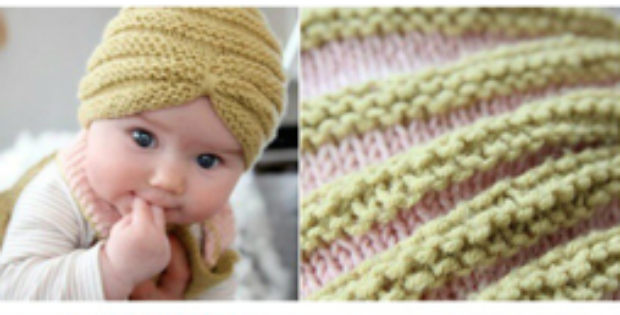 For inexperienced crocheters, the pattern can be purchased and afterward downloaded in PDF format. 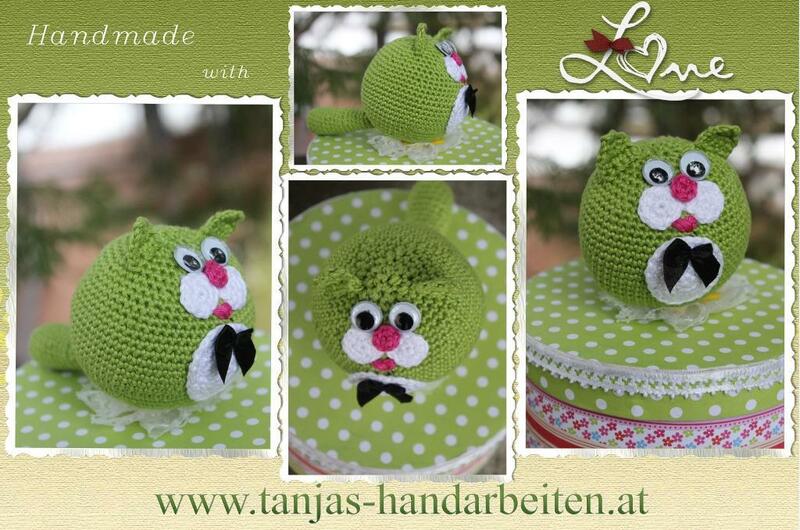 But there are free instructions for the pattern below, it just can’t be downloaded. 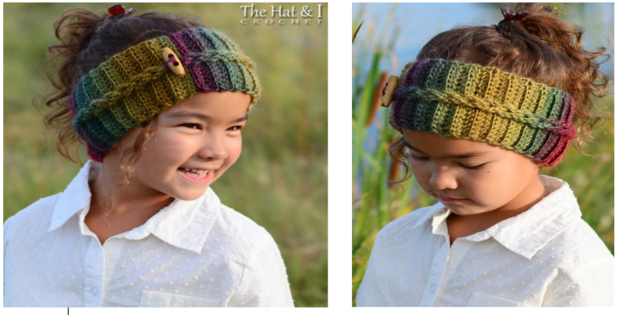 There are detailed instructions that accompany the pattern, written in concise American English. There is also extensive use of standard U.S knitting terms and abbreviations that make the project that much easier to accomplish. The puff stitch flower pattern is composed of two rounds of puff stitches arranged to form the flowers’ petals. The flowers are great as embellishments on hats and headbands, purses and clothing items. As mentioned, the flowers are more famously sewn together to create baby blankets or a rustique rug. The flower patterns make use of the magic ring to begin in the round. The technique would be in itself a bit tricky for beginners, and it is therefore recommended to make an effort to learn the basics first. With that out of the way, you can commence perhaps your biggest project yet. What would be a better gift for a baby shower than a flower baby blanket? I cannot honestly think of anything better than that, well, other than a million dollars of course. So go on, gather the supplies and get to work on this amazing pattern.